Well, after the tour is before the new album, right? We just wanted to let you know that we started the songwriting and preproduction of our third album which will be called “THE HEARTLAND MUST FALL” – inspired by Bernhard Hennen´s “Die Elfen”. For the production we will join forces with no one less than the legendary Sebastian Seeb Levermann at the GREENMAN STUDIOS – Sebastian “Seeb” Levermann. The release is planned for the second half of 2019. 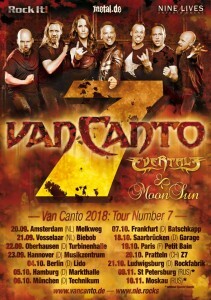 Next week marks the beginning of Van Canto´s “Tour Number 7” with MoonSun und Evertale as support acts. If you didn´t get your tickets so far, you´d better hurry up and get them so you don´t miss this package!!! 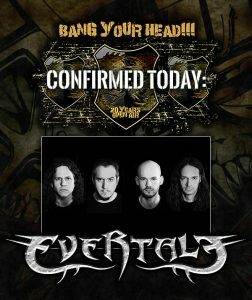 This time without big words or speeches… EVERTALE will play BANG YOUR HEAD Open Air Festival 2018! Due to some switches in the Running Order Bang Your Head Festival created a last-minute opener position for Saturday 14th July. We are very glad and proud to finally have the chance to play this legendary festival and to show the mighty BANG YOUR HEAD crowd what we are made of. Thanks to our booking in person of Christian Bunke at Rising Talent Agency for the great work . See you all in Balingen. Bang that head that doesn’t bang! Our singer/guitarist Matze has very serious troubles with his back and is forbidden to play. We are very sad for that and hope to see all of you again very soon on the road. We say an honest sorry to all of you who wanted to see Evertale on one of the shows. Hey Metal-community! Those of you who payed closed attention, will surely have realized this: Since a few months there´s a new guy behind the drums. We are happy to finally announce, that the extremely well-versed SIMON HOFMEISTER has joined our ranks. 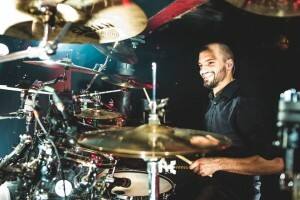 He follows on the not in the slightest lesser gifted Wombo, who had to leave the band already due to schedule and time-issues with his other activities and Evertale – but he remains a good friend of us and the band. Simon has the necessary punch, the fire in his heart and the character, to endure us old Dragonriders and help us reach the next levels of our career. Come and see for yourselves when we play live the next time! 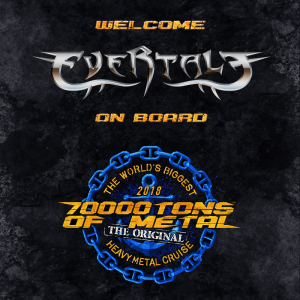 we are very proud to announce that we will be part of the 70.000 tons of metal cruise and will play two sets on this sweet event. 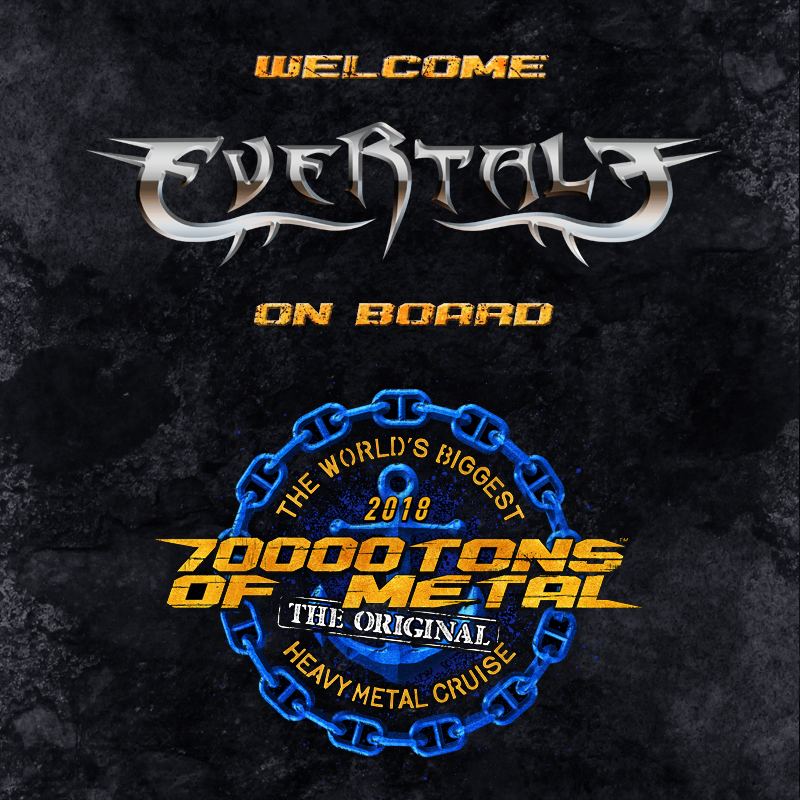 Take your chance and see Evertale perform two shows in a few days and as an addition in such a special atmosphere..
We’re looking forward to see all of you. Christmas comes early for us this year. 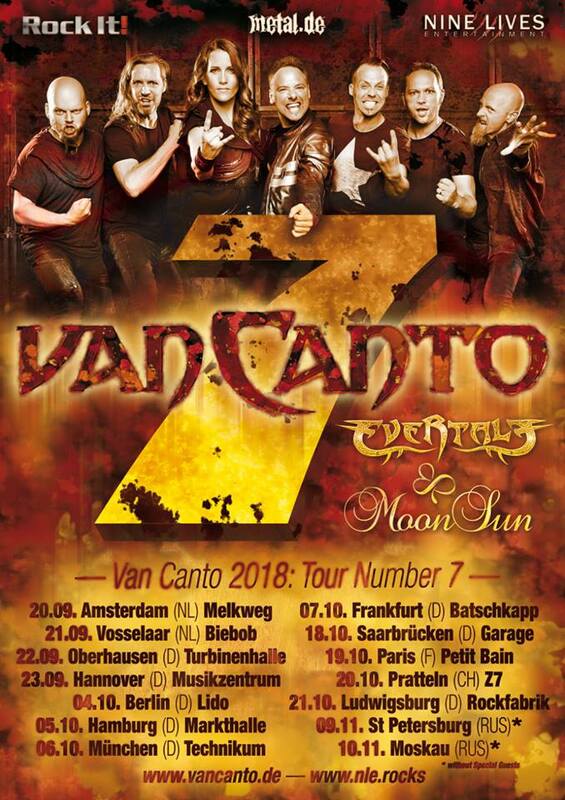 We are super proud and happy to announce, that we are supporting the legendary Acappella-Metallers Van Canto on their “Tour 7” in 2018. 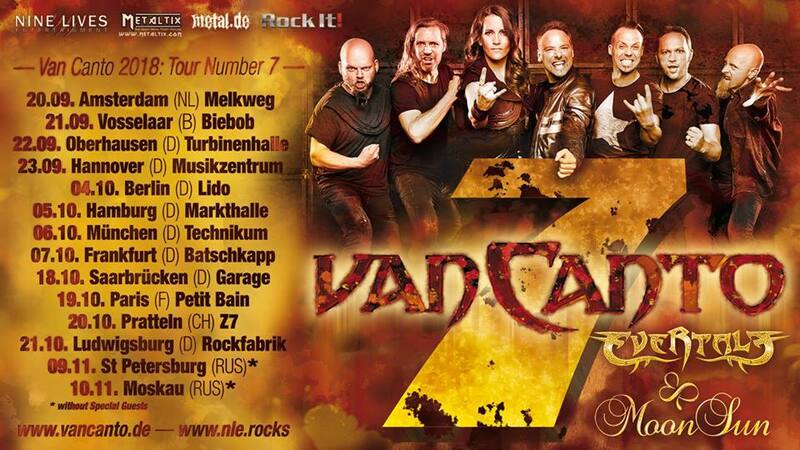 Make sure to be part of this metal-madness and to get your tickets early, before the shows are sold out!!! So, today finally is the day! Our new album “The Great Brotherwar” is available. Filled with pride we present to you pounding 60 Minutes of Epic Power Metal. We can hardly wait to hear and read your reactions to our new record.